Chronicle of a Summer, a unique collaboration of sociologists and filmmakers interviewing a number of Parisian working class men and women discussing themes personal and political, is a treasure of documentary cinema. 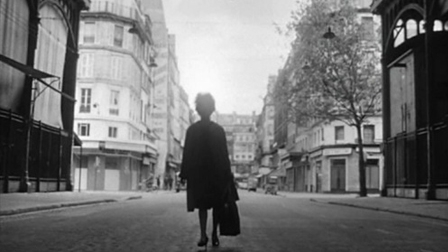 Made in 1960 in Paris, not only do we get to see the rich flavour of the romantic city in the 60’s, Morin and Rouch’s documentary shows us the thrill of classical cinema verite at its most relevant and revealing. Sociologist Edgar Morin and anthropoligist Jean Rauch engage us in the purpose of the film from the start. He describes his experiment to his first subject, a Jewish mother of middle age, Marceline, who is asked to take a microphone to the street and ask random people, simply, if they’re happy. Many subjects immediately turn away but a few stay and engage in remarkable confessional conversations about their lives. The microphone exchanges with a number of other citizens not associated with the production. Topics evolve from the personal issues to broad political issues such as the Algerian war, which in 1960 was like France’s Vietnam, a hotly debated colonial war. A number of black African men are interviewed and their engagement with the white working class men and women are sometimes startling – specifically Marceline who admits she would never sleep with a black man. The reactions of the others at the table are not what we would expect today. The conversation then evolves to discuss of the tattooed numbers on Marceline’s wrist, the significance of which were curiously not known by the African men. While only credited as a cameraman, revered NFB director Michel Brault’s impact on the film is strong. More scientist than filmmakers, the directors here sought out Brault, who’s documentaries in Canada travelled the world and helped set the rules of verite documentary. With the prevalence and technical sophistication of today’s documentaries, Chronicle of Summer, shot in grainy black and white, on 16mm it exhibits an aesthetic feeling of warmth not present with pristine digital cinematography. These visual elements combined with the frequent smoking and wine consumption kinda makes you wish the Criterion Collection Blu-Ray came with a time machine ticket back in time as well. Chronicle of a Summer is as close to capturing reality of this place and time as anything in the world of art. Having seen the trailer I find the greenness of the filmmakers amusing. It's not a bad thing but it shows how media and media consciousness have changed .